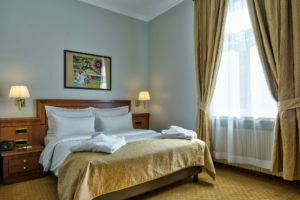 All rooms have Classical wooden furniture, high quality mattresses on firm beds with two pillows for each guest and 100% cotton linen, minibar filled with Estonian and Internationally well-known beverages and snacks, functional bathroom with hair dryer and toiletries (such as hair & body shampoo, conditioner and shower cap), earplugs for light sleepers, small safety deposit box for valuables, solid cupboard with drawers and a good working desk. 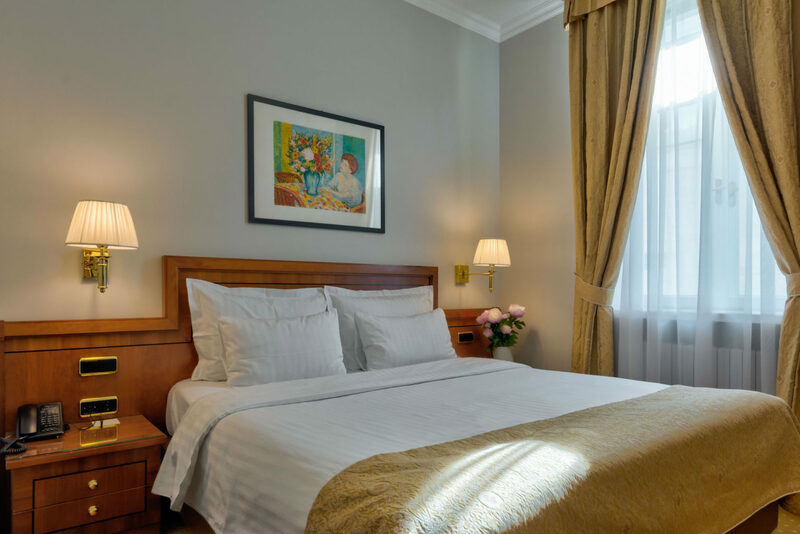 There is an individually adjustable air-conditioner and heating system in each room and complimentary fast Wi-Fi is available throughout the hotel. Our accommodation in Tallinn has two rooms available for people with allergies. 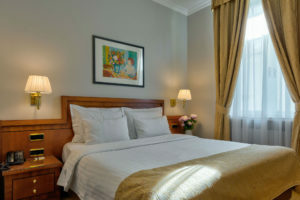 Guest rooms are situated on five floors of which the fifth floor is an attick floor. Rooms on that floor are more spacious with a romantic feel due to the smaller roof windows with a view to the sky, overlooking the roofs of Old Town. 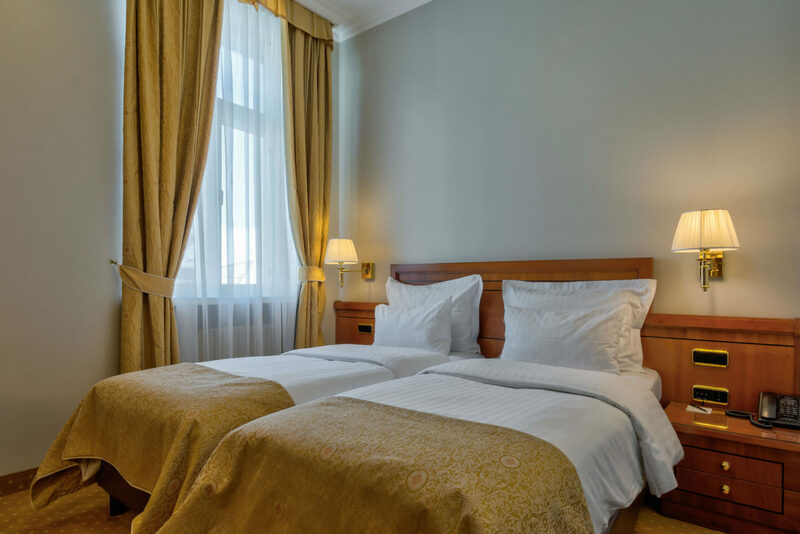 The average size of the rooms is 20 sq.m. 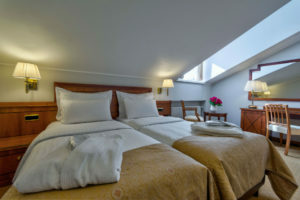 The average size of the rooms is 23 sq.m. 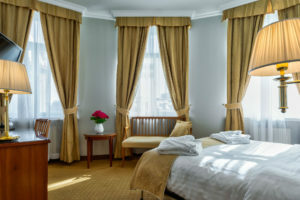 Coffee and tea making facilities, bathrobes and slippers and upgraded selection of toiletries (in addition to standard class rooms body lotion, vanity kit). 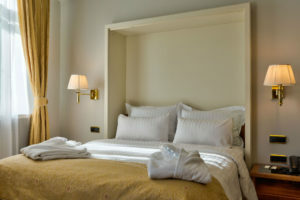 Connected family rooms, where two alike rooms are connected with a door. This is very convenient for families with children. 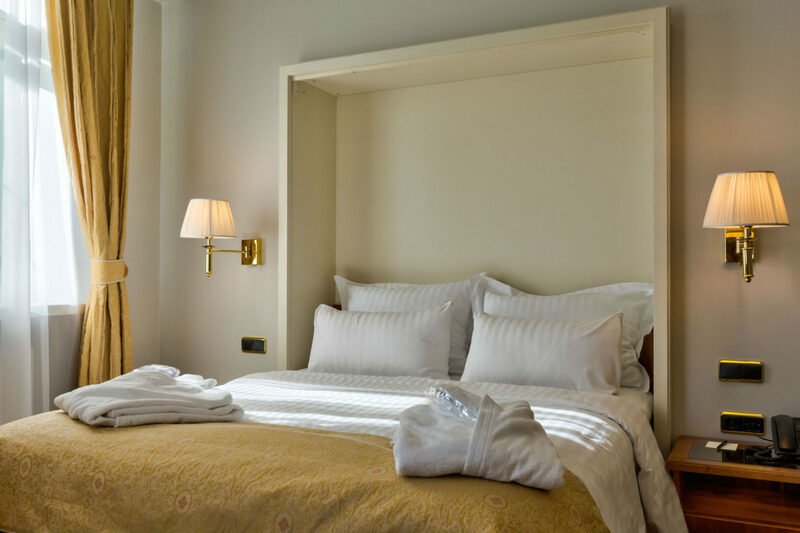 Suites and Family rooms are not available in online booking engine, we kindly ask you to contact us directly via telephone or e-mail with requests.